NEW Hiniker 9' Stainless Straight Plow - Torsion Spring Trip (QH2). The horizontal-truss moldboard design provides incredible strength, durability and resistance to bowing. 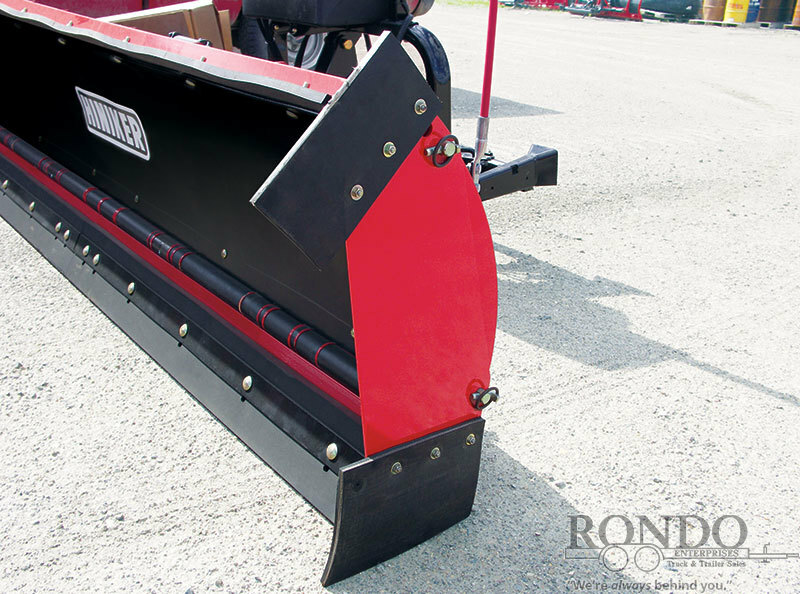 The corrosion-proof HDPE poly moldboard is dent-resistant with less surface friction for easier plowing and greater efficiency. In addition, impregnated color means long-lasting, good-looking appearance. 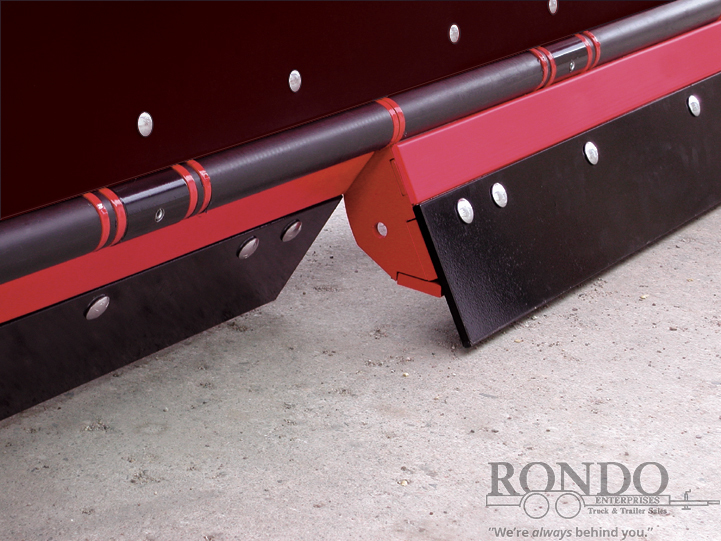 Protection is provided by Hiniker’s exclusive split trip-edge design. 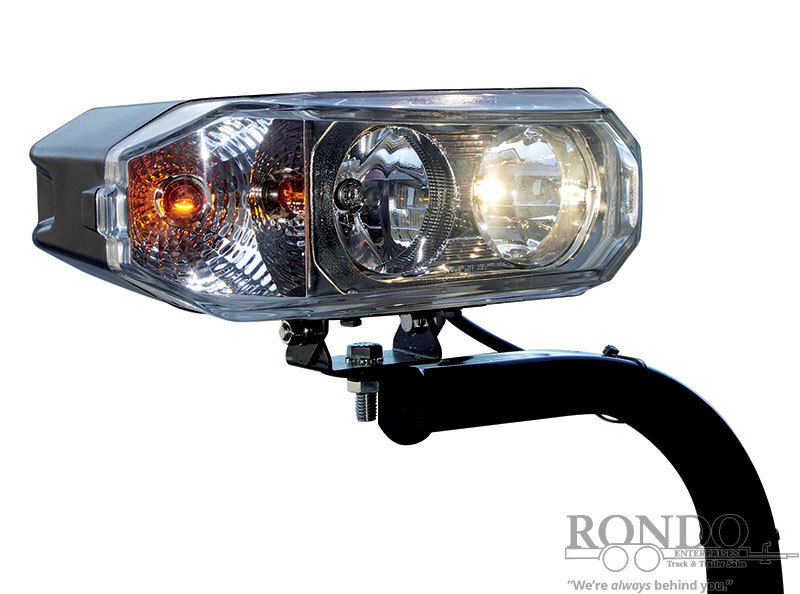 Super-bright quad halogen headlights have up to twice the power of typical sealed beam lamps. The high-tensile steel superstructure of the moldboard provides exceptional resistance to bending and bowing, for extra heavy-duty applications. Externally mounted pump simplifies installation and maintenance. Comes off the truck with the plow. Slick 1/4" HMW poly moldboard surface resists dents and never needs paint. 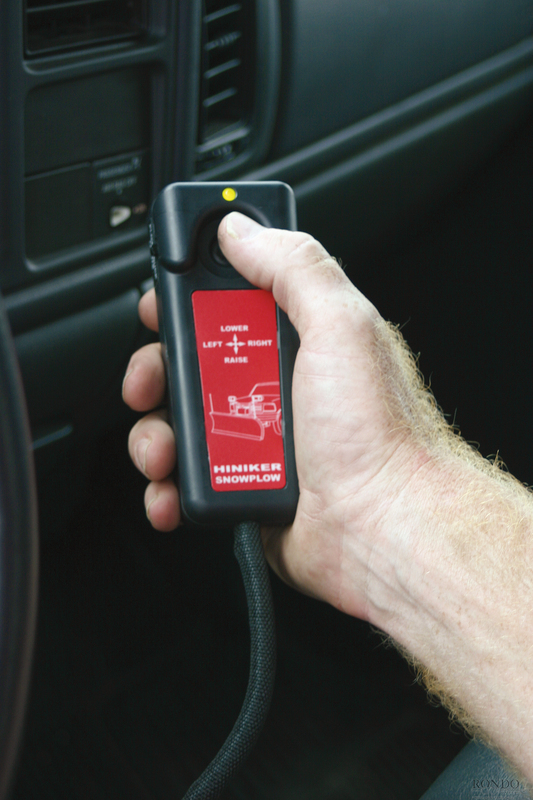 Split-trip edge allows right and left side cutting edges to trip independently. 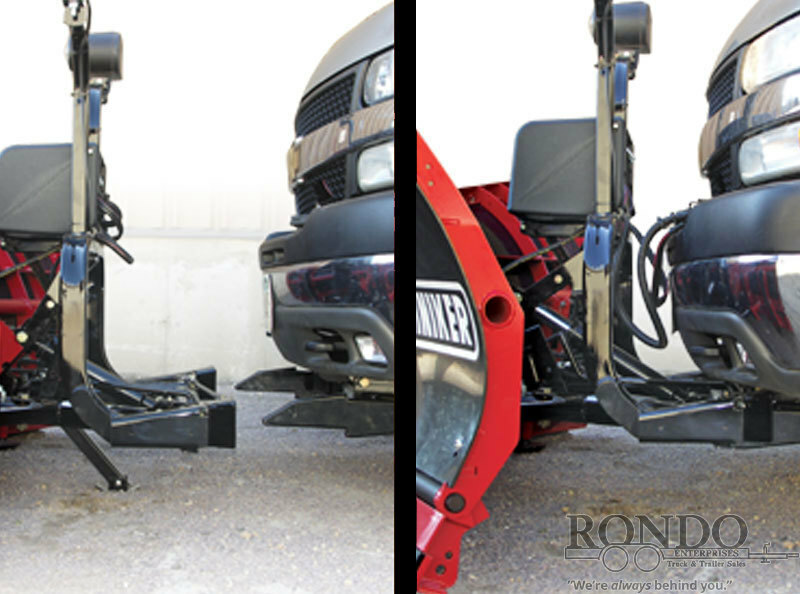 In addition, the high clearance split trip-edges reduces stress and twisting forces on the plow. 30" tall high curve high-density poly moldboard is dent-resistant and corrosion-free. Snow flows easily for more efficient plowing. 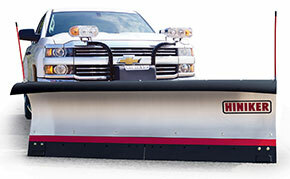 Plow Width at 30 degree Angle: 93"
Cutting Edge (High carbon 1084 steel): 6"
Weight (Net of truck mounted hardware): 825 lbs. *Weight does not include truck mount or shoes.